Over the course of the next few weeks, the bulk of the ground works will need to be completed. This means shifting a LOT of rock and dirt around the site, in order to make it suitable for the support frames for the HBA antennas. 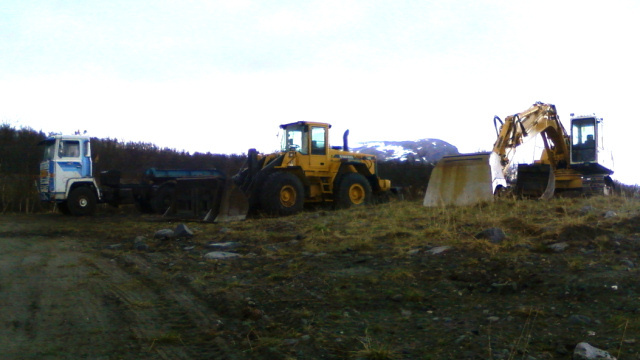 15-tonne wheeled digger, 18-tonne tracked digger).